Grig is a freeware simple Ham Radio control (CAT) program based on the Ham Radio Control Libraries (Hamlib). It is intended to be highly generic presenting the user to the same graphical user interface regardless of which radio is being controlled. Grig supports the most commonly used CAT commands that are implemented by Hamlib, and integrates well with other ham radio programs like Xlog and gMFSK. Grig has been developed on Linux, but has been ported on Mac and Windows OS. Graphic viewer for shortwave broadcasting and programming schedules. Supports viewing schedules in an expanding table and on a 24-hour Gantt chart using the local time and the UTC time display modes. Runs on multiple platforms. MacTNC is simple, configurable terminal software used by amateur (ham) radio operators to control a TNC (terminal node controller). MacTNC performs most of the same functions of other terminal software, but includes buttons for standard commands, and allows the user to configure additional buttons for special purposes. MacTNC works only user Mac OS X because it relies on Unix components of the current operating system. SSTV software is now available for the Macintosh computers, for the first time. Amadeus - Sound Recorder - Amadeus is a very powerful sound recorder and editor for Apple MacOS. Available in Lite and Pro version, is intuitive and a support many sound formats. Audacity - Audacity is a free, easy-to-use, multi-track audio editor and recorder for Windows, Mac OS X, GNU/Linux and other operating systems. The interface is translated into many languages. Beam Aim - Draws a world map centered on your QTH. 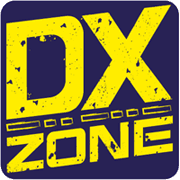 Type in a DX station's call sign to get the beam aim azimuth and distance to the station. Cab-converter - A freeware apple Macintosh-based program that helps amateur radio contesters by converting a log from a radio contest into the Cabrillo file format which may be submitted to the contest sponsor. Elmer - Macintosh shareware, contains the full pool of questions for each of the five exams, and creates sample tests that will vary each time you take them and it will grade your exam. Fast Morse - Macintosh morse code software, Fast Morse will convert any text you enter into the original Morse code equivalent, and play it on your speakers. The speed can be adjusted to anything from 1 to 35 words per minute if your computer can keep up, allowing you to send Morse signals at a rate your friends and fellow Morse enthusiasts can follow! FKeyer - Application for the Apple Macintosh computer that provides a CW contesting interface for the popular MacLoggerDX loggging software. FKeyer runs on MacOS X and uses an external keyer such as the MicroHam CW keyer. Grig Radio Control - Grig is a freeware simple Ham Radio control (CAT) program based on the Ham Radio Control Libraries (Hamlib). It is intended to be highly generic presenting the user to the same graphical user interface regardless of which radio is being controlled. Grig supports the most commonly used CAT commands that are implemented by Hamlib, and integrates well with other ham radio programs like Xlog and gMFSK. Grig has been developed on Linux, but has been ported on Mac and Windows OS. HourWorld World Clock - HourWorld is a program with rich graphics that can show you what time it is in a certain part of the world, and well as demonstrate what is actually looks like over the globe. Mac GrayLiner - Displays map of the world, showing day and night areas. Mac the Scope - Mac the Scope is a professional quality signal analyzer, 1/3 octave RTA, signal generator, and more. MacGPS Pro - Mapping software which links a Garmin GPS receiver to your Macintosh. Includes Maidenhead grid squares and beam-pointing maps. Macintosh SSTV Shareware - SSTV software is now available for the Macintosh computers, for the first time. Macpcr - Icom PCR1000 driving program for Mac available at yahoo groups, login required. MacTNC - MacTNC is simple, configurable terminal software used by amateur (ham) radio operators to control a TNC (terminal node controller). MacTNC performs most of the same functions of other terminal software, but includes buttons for standard commands, and allows the user to configure additional buttons for special purposes. MacTNC works only user Mac OS X because it relies on Unix components of the current operating system. Morse Mania - A morse code tutor for the Macintosh. Morse Runner on MacOS new - Run Morse Runner on Apple MacOSX computers using Wineskin. Morse Runner is a popular MS Windows morse code contest simulator. You can do this by yourself or just download the ready-made dmg and use it on your apple mac. PocketPacket Mac OS - PocketPacket started as an APRS client for iPhone/iPod Touch/iPad devices, but is also available for the Mac desktop or laptop. PocketPacket incorporates a software-based TNC, allowing you to directly capture and visualize, or encode and transmit 1200 baud packets (AFSK modulation) using a VHF radio transceiver. QRQ CW trainer - qrq is an open source Morse telegraphy trainer which runs on several operating systems (Linux, Unix, OS X and Windows), similar to the classic DOS version of Rufz by DL4MM. QST Browser - A Mac OS X application for searching and viewing the back issues of periodicals that are published by the ARRL in CD-ROM format. SCR-Log - Scr-log freeware logging program for mac, windows, linux and dos. designed for school, club, and individual class stations to use during school club roundup. SoundFlower - Soundflower is a Mac OS X (10.2 and later) system extension that allows applications to pass audio to other applications. Soundflower is easy to use, it simply presents itself as an audio device, allowing any audio application to send and receive audio with no other support needed. Soundflower is free. The KB6IBB Utilities - Ham radio frequency list consolidation software. The Ham Radio database can house a unlimited number of records. Holding frequency information from DC to Daylight. The Radio Scanner Database is designed to emulate a radio scanner. A 5,000 record table is provided and is organized by channel number. Time Palette - World Time and Mapping software including Azimuthal Maps. Trusted QSL - Open source libraries and utilities to support using digital signatures for Amateur radio QSL system information like eqsl and lotw. Available for windows macos e linux. 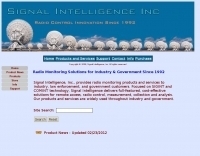 Search only in "Mac Ham Radio Software"